Mark Keenan: So what's going on in Dublin with vendor asking prices versus reality? So what's going on in the capital city with vendor asking prices versus reality? Data for the first quarter of 2019 shows that property asking prices are pulling away significantly from achieved sale prices. That is, vendors are becoming removed from reality. The first Irish Independent/Real Estate Alliance (REA) survey of the year (published at the end of last month), determined that the saleable value of the average semi in postcoded Dublin showed almost no increase (0.1pc) on the previous quarter. In South County Dublin achieved prices were stagnant at 0pc growth. In contrast, the North County area (where more affordable homes still exist) showed an increase of 0.8pc over the three months. The REA data, which shows almost no price growth, is based on most recent sales achieved. Then a week ago the Sherry FitzGerald network's first quarter data (measuring sales data for all property types) showed Dublin sale prices have actually fallen - albeit by a smidgen (-0.1pc). The network also showed that home prices across Ireland overall rose by just 0.2pc in the first three months although that becomes 0.7pc when Dublin is excluded. Sales-based data from DNG, another big nationwide network, shows Dublin average prices stagnating - from the last quarter of 2018. 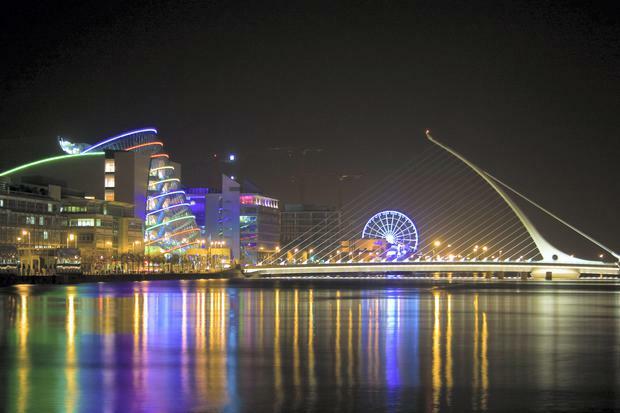 In fact, the agency says Dublin sale prices have been largely static March to March, with only lower priced homes rising slightly since an uncharacteristic first quarter surge last year. But now look at the latest Daft.ie data which deals with asking prices, namely the price the vendor asks the agent to put on a property. This is the vendor's opening pitch and reflects expectation. Daft.ie shows Dublin asking prices up 3.5pc since the start of the year, by €12,843. That's a big chunk of change; the price of a second-hand 2013 reg VW Golf in fact. So the average Dubliner's price expectations have been rising this year at just over €1,000 per week when in reality, prices are not rising at all. What this confirms for us is the long accepted notion that the gap between expectation and reality temporarily widens in real estate markets when prices are stagnating and possibly on their way into slippage. Vendors are, not surprisingly, quicker to adjust when prices being achieved move from static to increases. Estate agents will always tell you that a big part of their job is managing expectation - that almost all vendors believe their house is worth more than it is. Owners are not only emotionally attached to their homes, but they recall every investment they have made in it and erroneously believe they'll get all of that back again. Another typical failing is taking a recent high sale from the property register as their first value marker and assume it as a bottom line value for their own home. Usually that marker property has an unseen advantage that reflects its ebullient sales price. 1. Lending ceilings are increasingly preventing existing owners moving up the chain and preventing first-time buyers from getting on the ladder. 2. New home construction is continuing to increase (up to 18,000 nationwide in the last year). The improved energy saving prowess means a new scheme will afflict the values of similar second-hand homes nearby more significantly than it did in the past. 3. Builders are increasingly in short supply, which has pushed up the cost of construction work and therefore intrinsically impacted downwards on the values of second-hand properties in need of work. 4. Rents have risen so severely in recent years (15pc above the previous peak says Sherry FitzGerald) that rental prices are cutting demand by cramping the ability of would-be buyers to save a deposit. 5. Despite it being pooh-poohed in some quarters, Brexit is a real impact factor creating widespread confusion and knocking the confidence of those would-be buyers who are postponing purchases because they believe their businesses and financial prospects could be affected. 6. Second-hand supply is also improving. We go back to Daft.ie's figures which show that supply in the capital is up 11pc. In parts of Dublin Daft.ie now estimates that stock is either reaching or has reached the level at which prices should stop rising. 7. Seasonal factors - vendors expect to achieve more early in the year as usually there are less homes for sale. Economist Ronan Lyons of TCD/Daft.ie explains that the "point of balance" in supply looks to be around 4,500 homes in Dublin. When there is this number of homes on the market, the figures suggest, there is no strong pressure on prices up or down. He adds that there were almost exactly 4,500 homes for sale in Dublin on January 1 this year. "While (asking) prices rose by 3.5pc, it is likely that this is a seasonal outlier. As long as supply is at least this level, the market will have more than enough to go through and there should be little or no upward pressure on prices in Dublin over the rest of the year," he says. But there's another 'wild card' - some agencies are reported as over estimating values at the pitch stage in order to beat the competition for the right to sell the house. There are cases of vendors of top-end property sitting saleless for a year or more because their agency duped them on the market price achievable. That said, the vast majority of Dubliners who are today asking way too much for their homes are the ones who overruled the accurate price advice of their agents, just because they think they know better. So if your home is an average abode and unsold after two months; or if it is in the top segment and unsold after six, then you are fooling yourself. Your home is overpriced and you won't sell until you get real about it. Continuing to sit tight means that not only will you fail to get the silly price you are asking, but if values slip, you mightn't get the price you should have got in the first place, if you weren't so darned greedy.